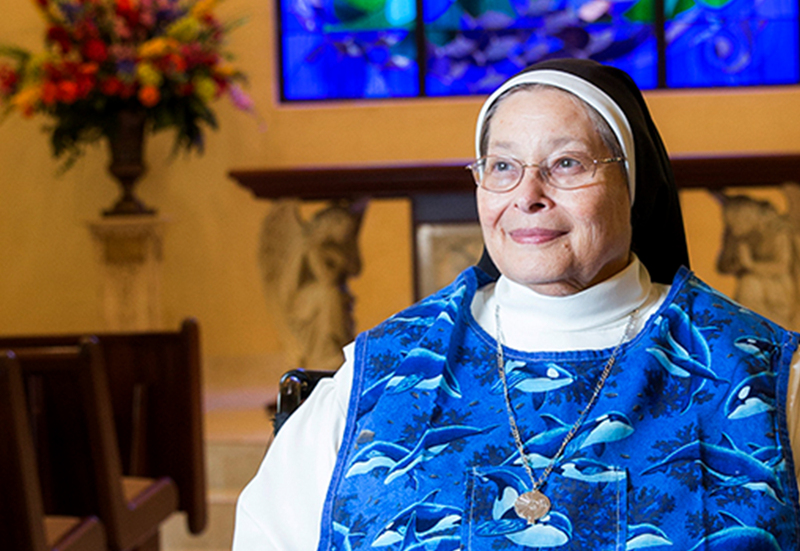 Sister Dulce earned a bachelor’s, masters and a doctorate in education and administration. She did extensive studies in psychology and at one time thought that she might want to focus in that field, but opted for teaching. 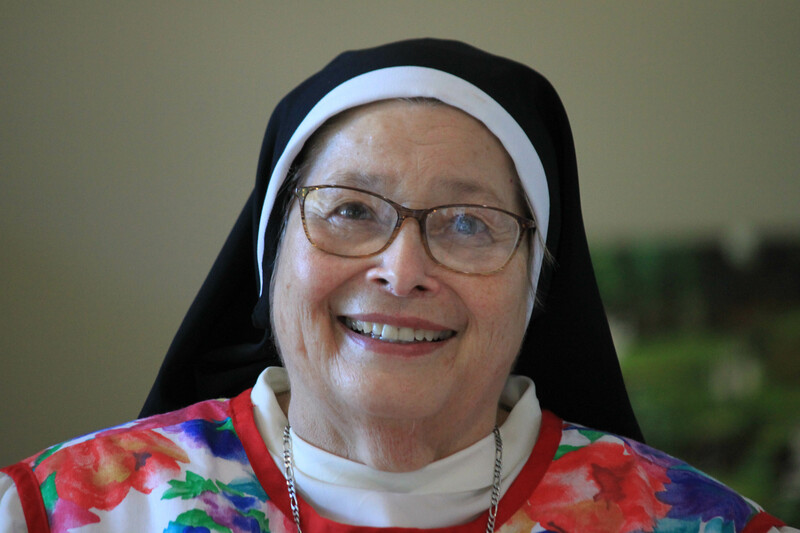 While she joined the Mercedarian Sisters of the Blessed Sacrament in Corpus Christi, her first assignment was in the heart of the Mojave Desert. 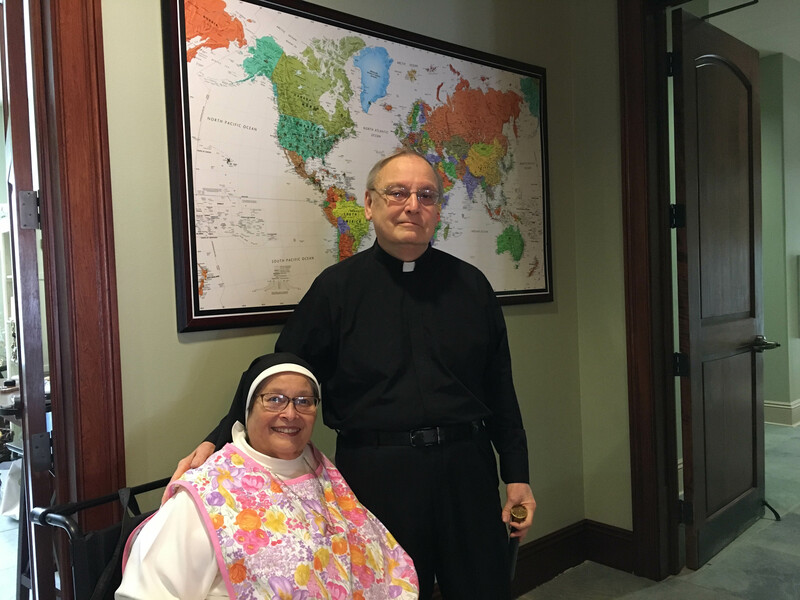 She fluently speaks English and Spanish, and at times the Lord has lifted other language barriers so that Sister can communicate effectively with those visiting from other countries. 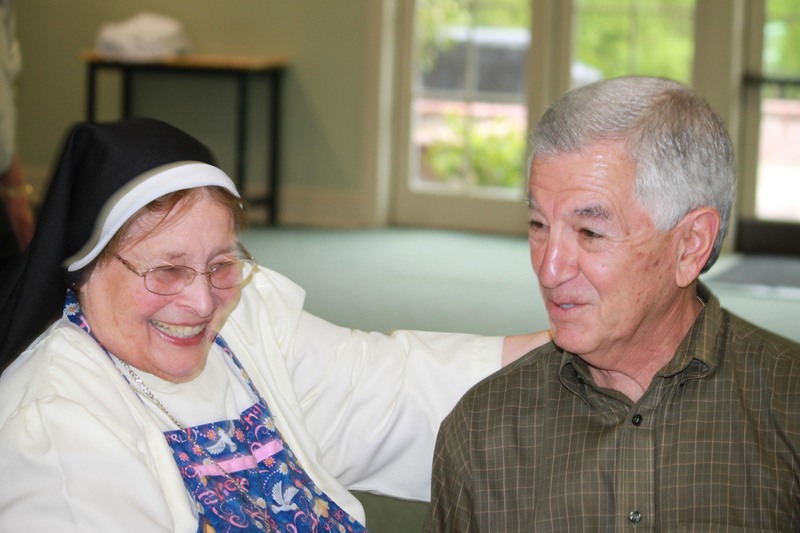 Besides preparing the residents for receiving the Sacraments, Sister also translated for the residents. “People there had very little food or clothing, no work, and some had no place to stay. In some cases, there were as many as eight families staying in one place. At times, women had been assaulted or raped while crossing the border,” recalls Sister. “I found jobs, hospitals, doctors, apartments and made sure they had clothes and shelter,” she shared. She also remembers, “The immigration officers and police were very nice to all the people, but there was a language barrier. There was a great need for us to continue and celebrate the Spanish culture.” So, knowing the importance of Our Lady of Guadalupe to the Spanish people, Sister along with the people, made a nine-day novena with the special intention of opening a social center. 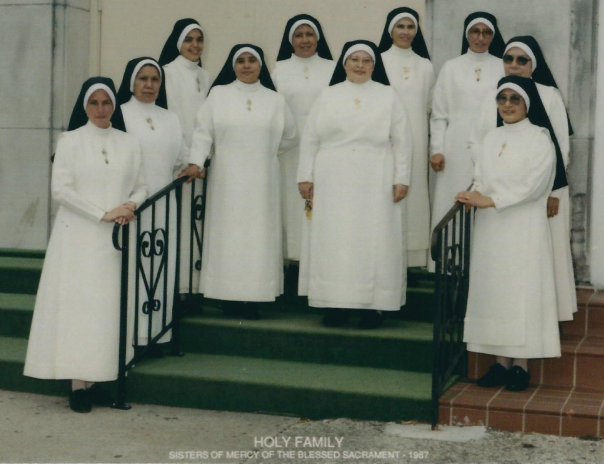 Through Sister’s efforts and her concern for God’s people, she was also able to help establish a clinic fully-staffed with doctors and nurses. Everything was getting organized. 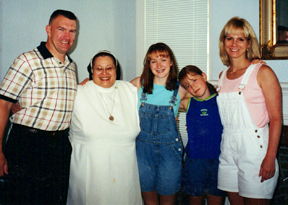 “Girls could go there for prenatal care; we found free food, clothing, and shelter for the needy; we were allowed to use the parish’s thrift store, where the people could go and get free clothing; and, this clinic was open to all of God’s people, regardless of the faith they practiced” Sister explained. 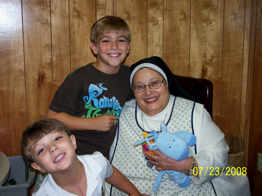 During the five years she was at St. Leo’s, Sister said she put herself on the back burner. She would just work all the time sometimes going three days without sleep. “But God sustained me. When I got my gift, I was exhausted. I needed to rest a while. A vision sounds pretentious, but what really happened was while praying, I felt a tremendous pain. The Lord asked me ‘What is wrong.’ I said ‘I am in terrible pain.’ The Lord said, ‘Show me your hands’ and when I did my hands were transparent like glass and inside my hands were His hands, wounds and all. Then He told me ‘Put your hands where it hurts.’ When I placed my hands on the pain, it completely disappeared and I woke up. 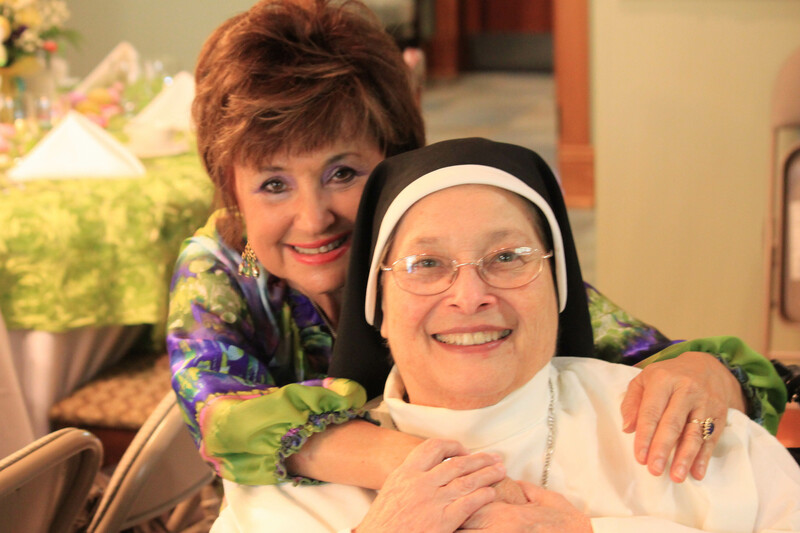 I thought I had been dreaming, but I realized now that it was a vision through which I received the invisible stigmata,” Sister shared. Sister Dulce did not want to initially accept the Lord’s call. She felt that she didn’t have time for this. She still had a mission to run. But the Lord’s hands guided her. His hands and His wounds are in her hands. 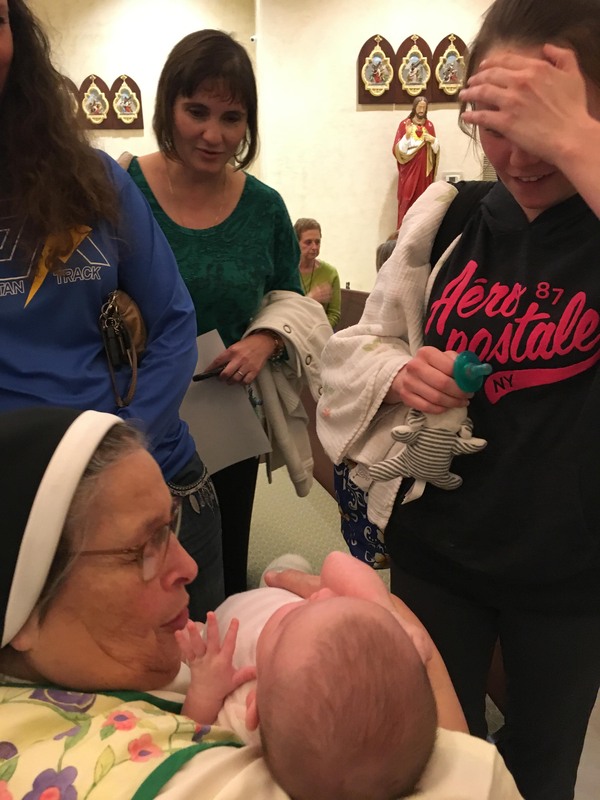 The Lord taught her little by little and she began to use her hands and prayers to help His people. 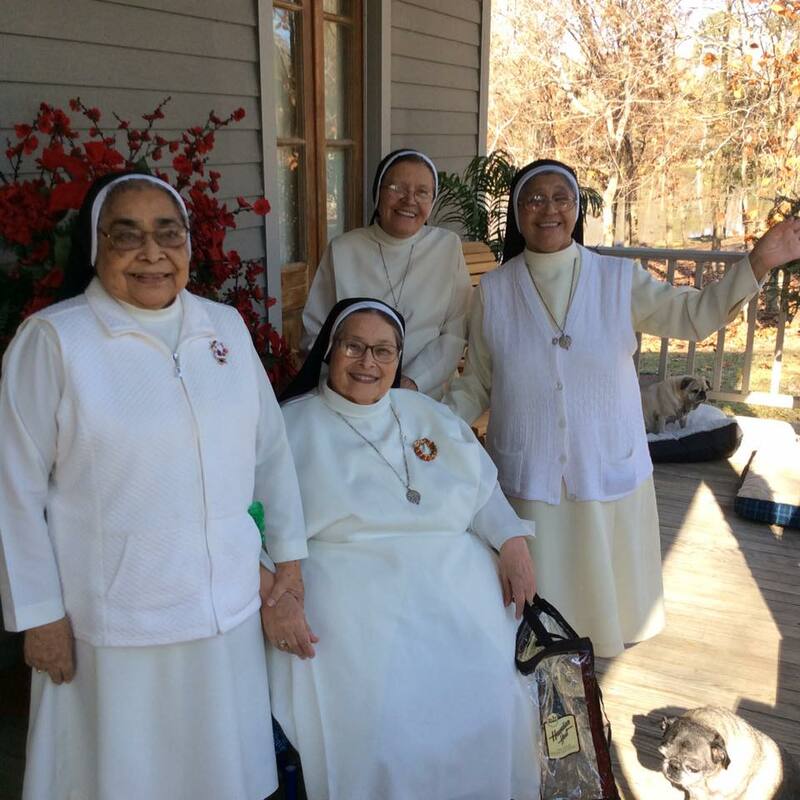 The Mercedarian Sisters of the Blessed Sacrament do not usually allow one of their nuns to move to a place where there is no established house, but understanding and believing in her God-given gifts, they gave Sister Dulce permission and, she claims, “the privilege” to come to Baton Rouge without the order. 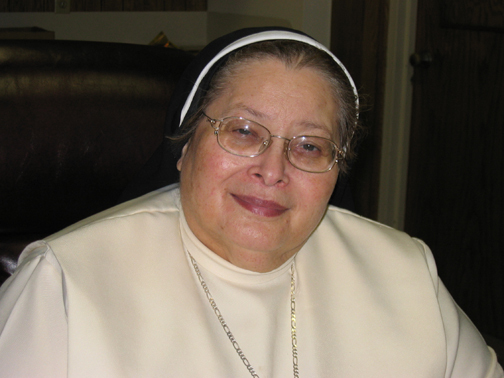 Sister Dulce came to Baton Rouge in April 2001. 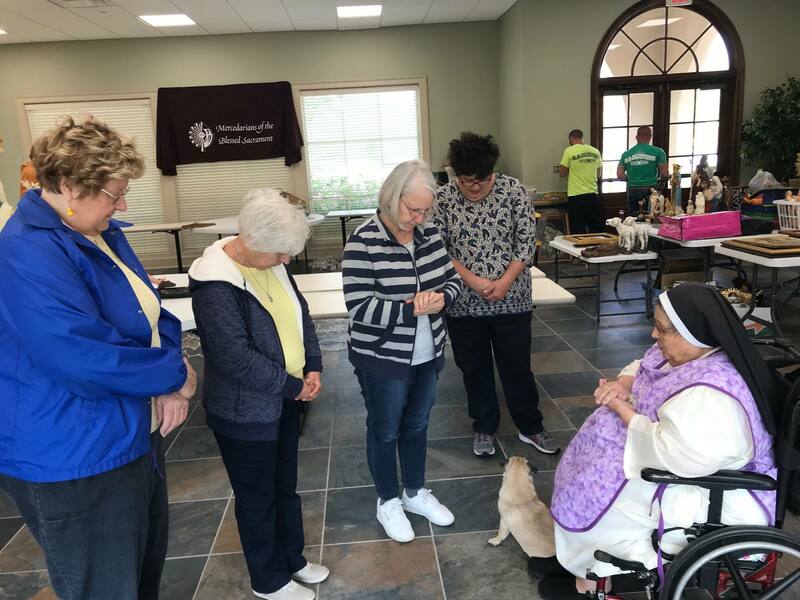 In that period, she has prayed with thousands of patients who have carried physical struggles from cancer to the emotional burdens of the terminally ill, to the need for spiritual well being. “Mine is not a healing ministry as much as it is a prayer ministry. I usually spend two hours, from 4 a.m. to 6 a.m. in prayer at the convent before the Blessed Sacrament. I pray for my patients and for the community. I pray for their healing. 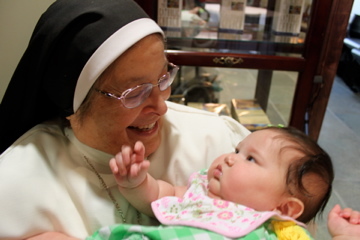 I pray for the priests, nuns, deacons, laity leaders and the unborn,” says Sister. 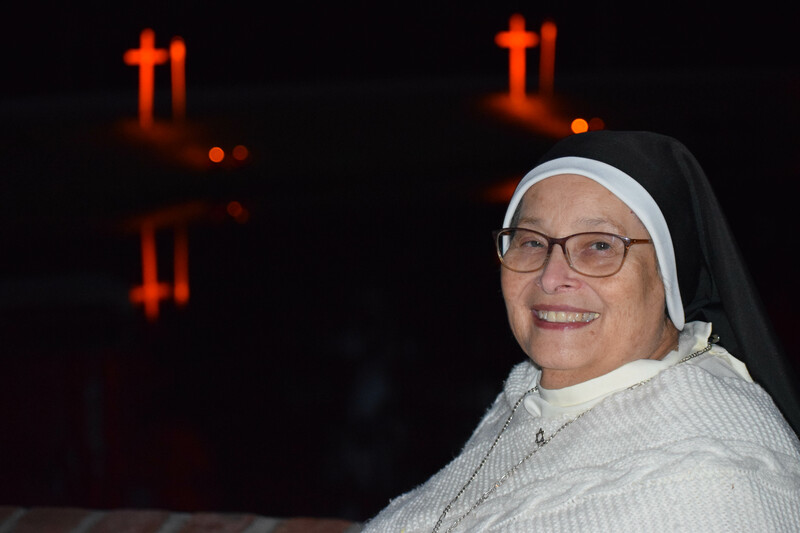 After a rigorous day seeing patients in her ministry, Sister spends many hours on the phone receiving calls and praying with people who are sick and dying from around the country and internationally, as well as from local cancer patients or terminally ill who are in pain. 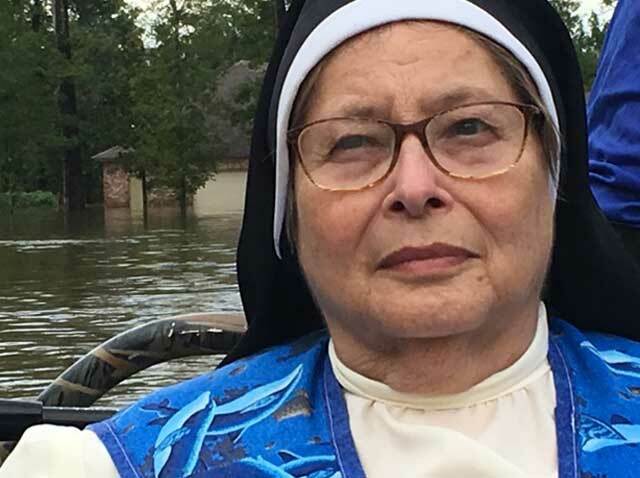 “The Lord said that I will bless Baton Rouge and through Baton Rouge will come to the world,” Sister says. 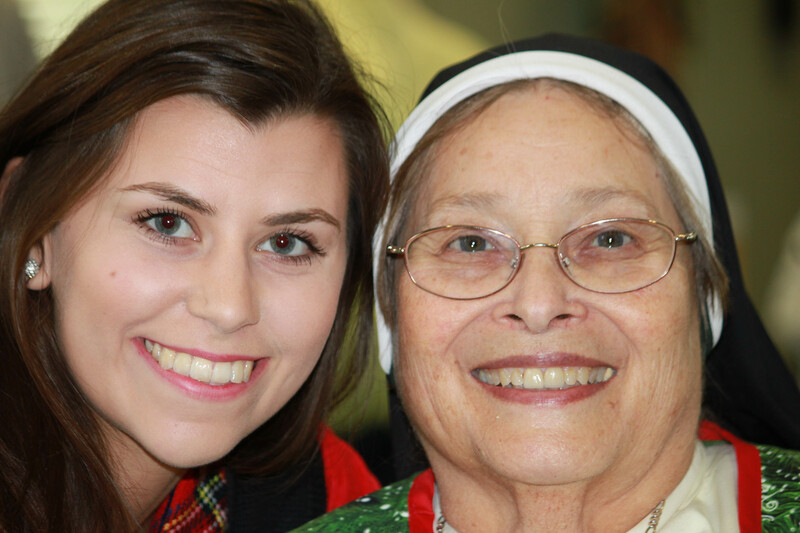 She began her ministry in Baton Rouge at a home near LSU. 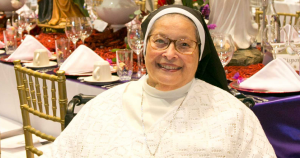 As her Ministry grew, she graciously accepted room at St. Agnes Catholic Church in the school gym. 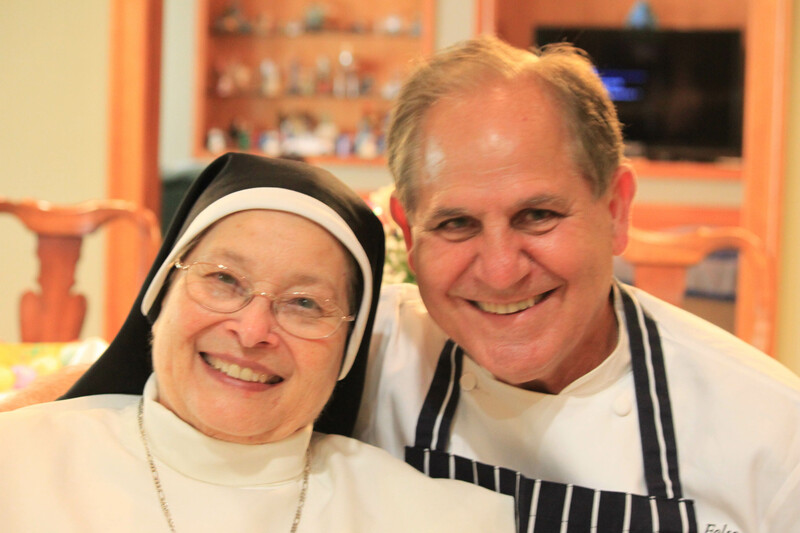 She was and continues to be very grateful to Msgr. Robert Berggreen for affording her the opportunity to see more people in need by providing this much-needed space for her to work. 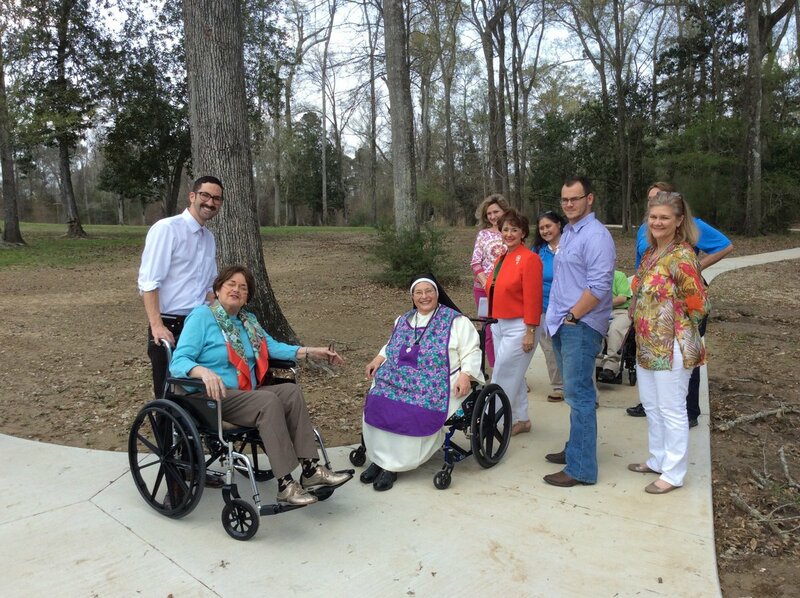 Today, by the grace of God and in thanksgiving to Him, Sister visits with the sick and dying and those seeking spiritual growth at the Cypress Springs Mercedarian Prayer Center in Baton Rouge, Louisiana. 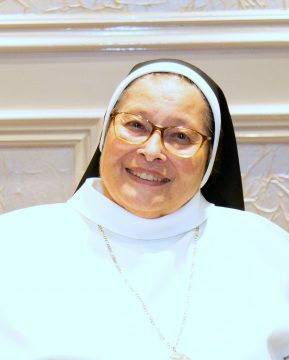 Baton Rouge was blessed several years ago with the arrival of Sister Dulce Maria, a nun of the Mercedarian Sisters of the Blessed Sacrament. 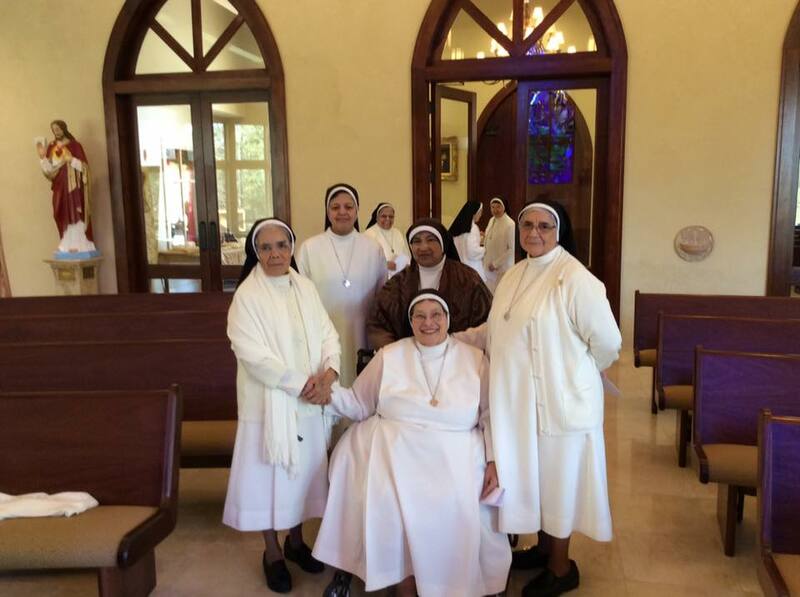 A religious for nearly 50 years, all Sister ever really wanted in life was to live in community, pray and teach; but Papa, as Sister affectionately refers to God, had other plans. 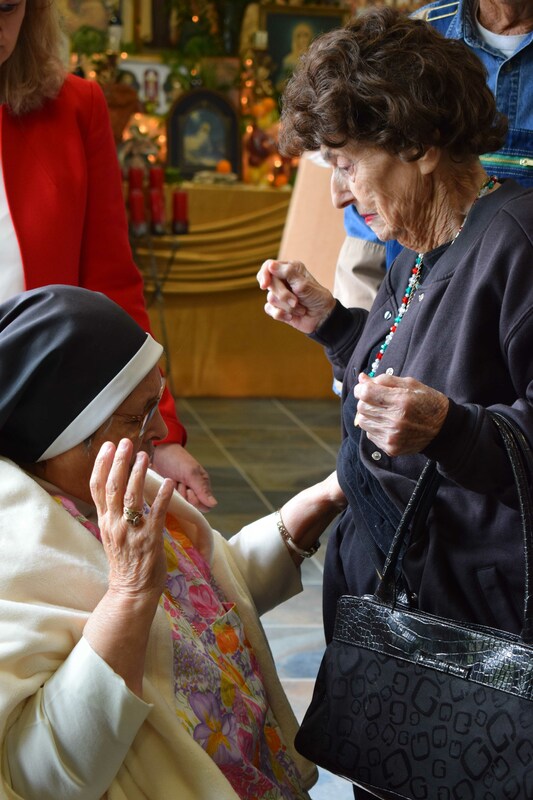 Some years ago, after a particularly difficult day ministering to the needs of immigrant families in California, Sister prayed before the Blessed Sacrament. She said, “I was in humungous pain and Papa asked me, ‘What’s wrong?’ I said, ‘Papa, I am in pain.’ He said, ‘Show me your hands.’ I put out my hands, but it was not my hands. My hands were like a crystal, like a glass and inside my hands were His own, wounds and all. He said, ‘Put your hands where they hurt,’ and when I did I woke up.” Sister considered the experience a wonderful dream from God. After a particularly excruciating next day of helping people find apartments, get jobs and receive medical care, Sister returned home to find Catherine Alexander Georgette, her little pug dog, covered with welts. “Georgie” had eaten poisonous fish and was suffering from a severe reaction. 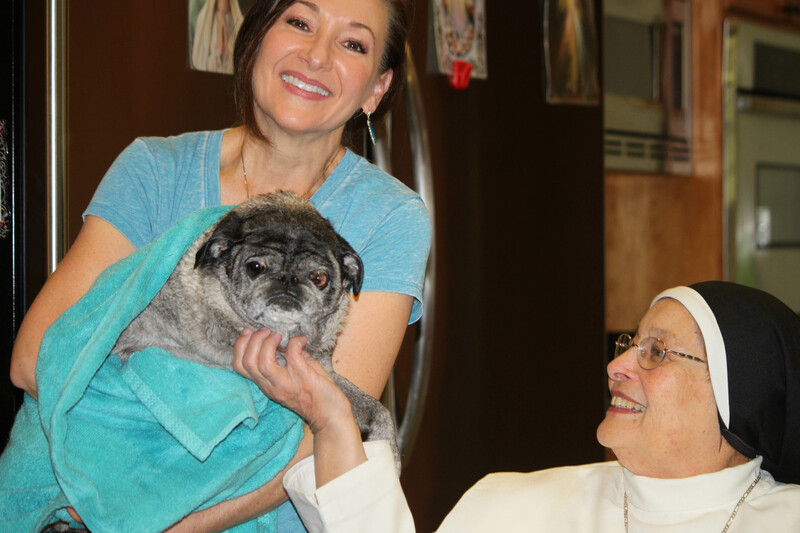 Sister held Georgie and prayed, “Papa, please don’t take my dog. I know she has no glory to give you, but please.” Sister felt as though another hand was upon her own, and as she stroked her dog, the welts vanished. Papa had answered her prayer and healed her pug. Sister kept silent about her gift, but word spread, and she was sought out for prayers and healing. 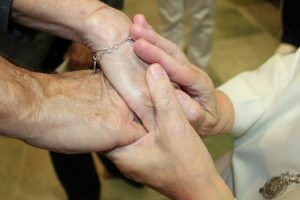 As she lays hands on the suffering, Sister prays the words given to her by God: “In your name Lord and through your power, heal your servant of (name the problem). I receive and accept (name the problem) into my hands and I give it to you.”, the lady slept, and Sister’s swollen hand was released by the invisible power that held it. Papa was calling, and Sister understood. God would heal His suffering people through her touch. As Sister continued to pray and worry about the people to whom she ministered, Papa gave her 10 promises. But, Sister questioned whether these promises were God given or a result of her own anguish for those who suffered. 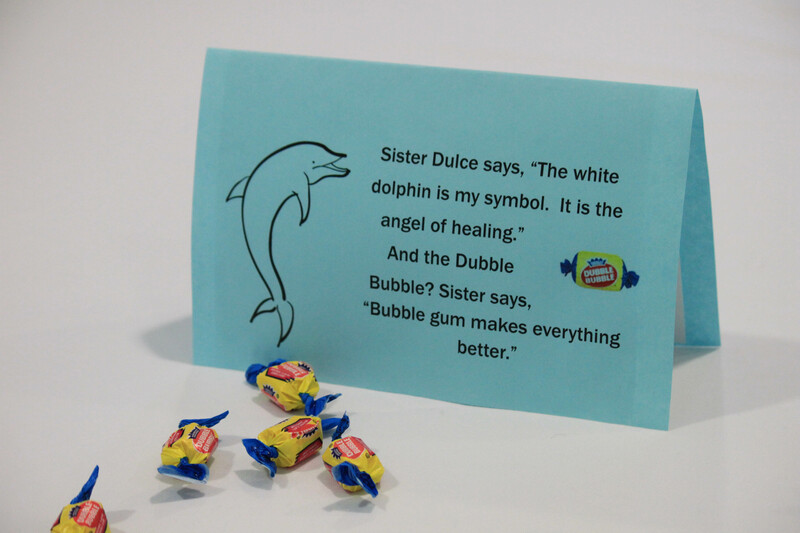 To alleviate Sister’s concern, God would give her “the sign of the dancing fish.” She would receive a dolphin, but no one would give it to her and, she would not purchase it. Not long afterward, as Sister left a breakfast meeting, something flashed in her face, and when she stooped to pick-up the object, it was a bracelet with 10 dancing dolphins. Some years later, God gave Sister another sign of the dolphin. She was working as a school principal in the Mojave Desert, but Papa said he was sending her east. This time Sister asked for the sign of a white dolphin. 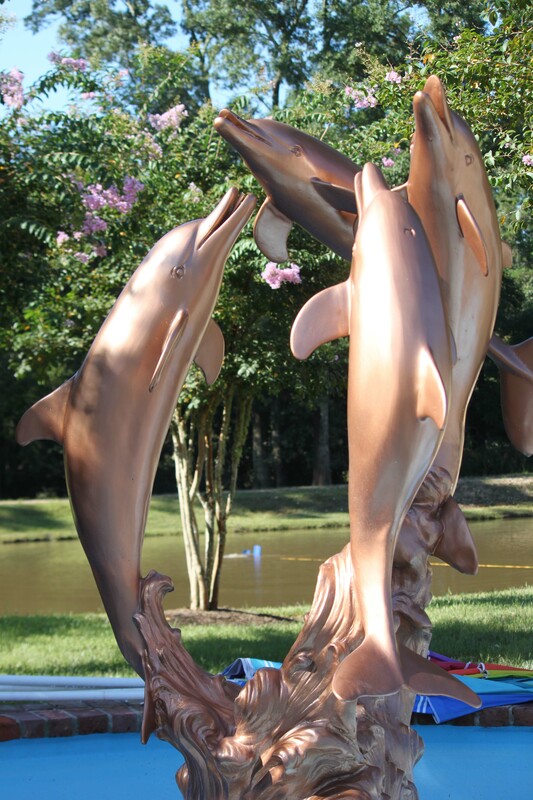 One day, Sister’s precocious 8th graders gave her a present: a white, antique dolphin. Sister understood. “Every time there’s going to be a miracle, I get a dolphin.” So, she waited for the priest God promised who would move her east. 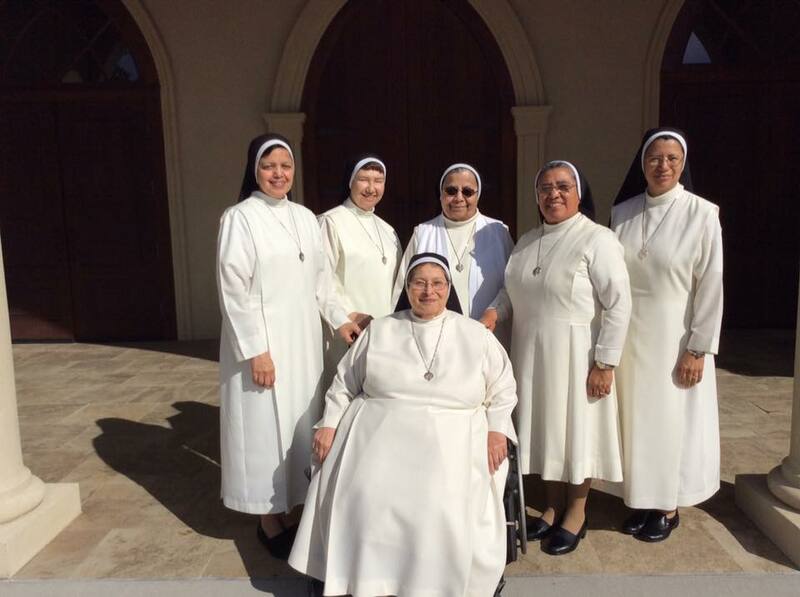 Today, dolphins surround Sister at the Cypress Springs Mercedarian Prayer Center, built in 2009 through efforts of The Sister Dulce Foundation. 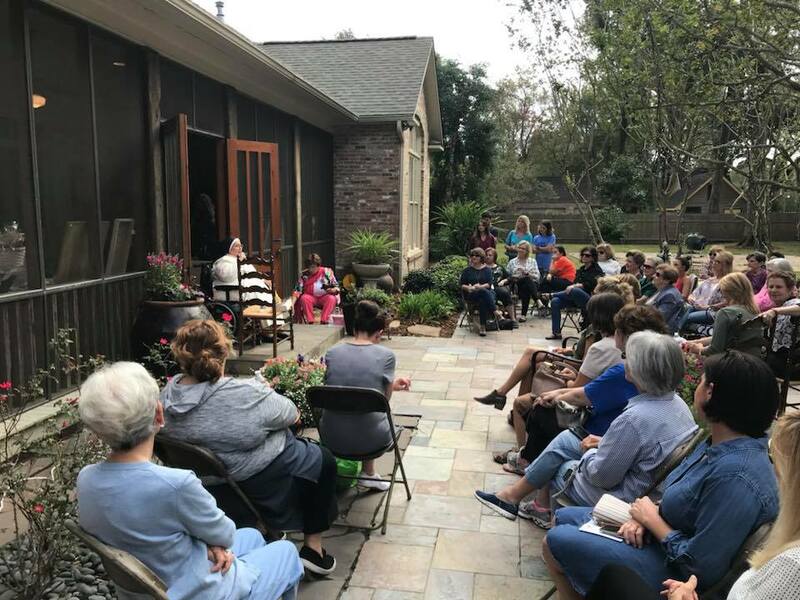 Through the portal of Baton Rouge, Sister lays hands on God’s suffering people: those with cancer, families of the terminally ill, people needing spiritual guidance and lost souls searching for God. 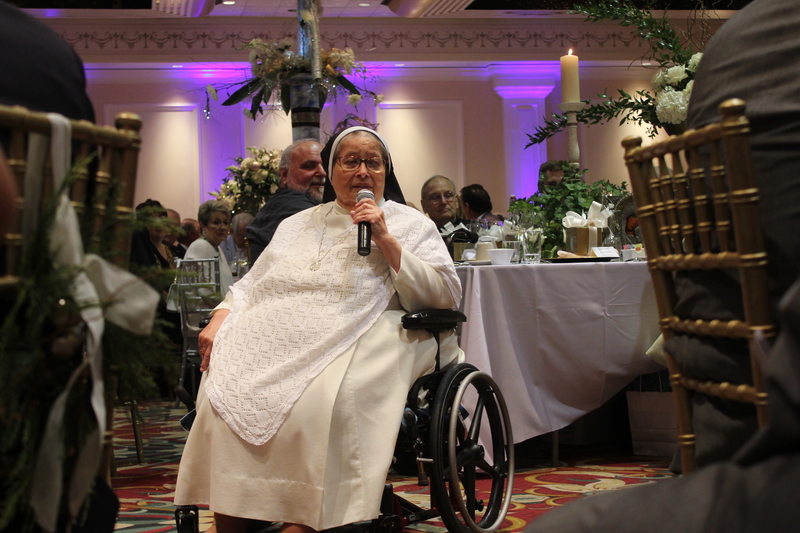 Sister is still reluctant to publicize her gift, yet she receives calls and visits from those seeking God’s healing grace throughout the country and around the world. Humbly, Sister says that her job is simply to pray and listen; Papa does the work, she’s merely an instrument in His hands.